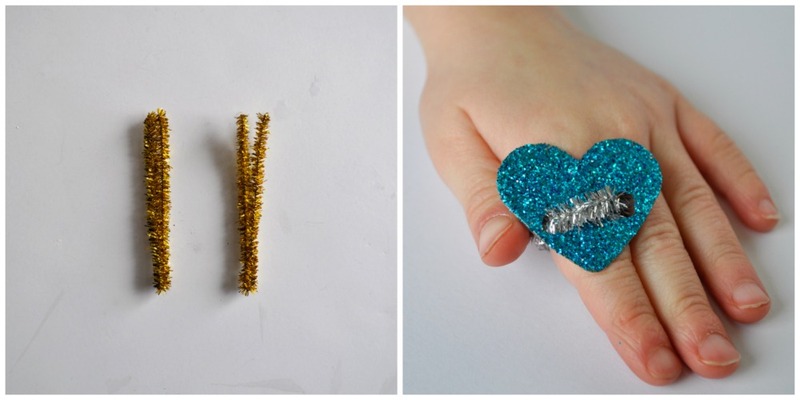 You’ll making her Valentines Day Glitter Heart Ring with you’re kiddos for Valentines Day this year! My 4 year old daughter is a girly-girl. She loves playing dress up, carrying around a purse when we go grocery shopping, wearing pretty eye shadow just like her Mommy and she adores her jewelry. We made DIY Turkey Rings for Thanksgiving a couple months ago and she was pretty much in heaven wearing around her fancy ring. 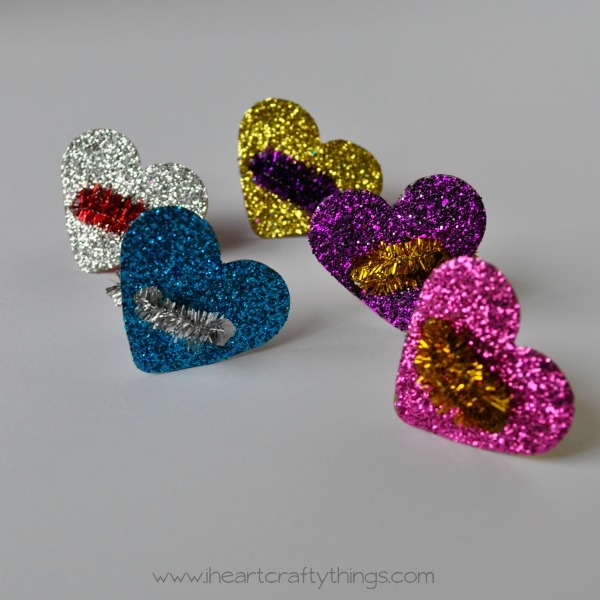 With Valentine’s Day coming up, I couldn’t pass up the chance for us to make these sparkly Glitter Heart Rings. 1. Use your heart punch to cut heart shapes out of your cardboard. We used an empty cereal box for our cardboard. Use a hole punch to punch a hole on each side of the heart. 2. 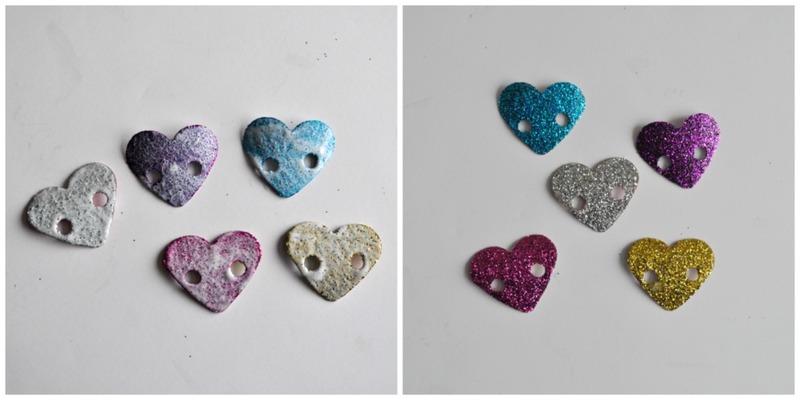 Paint Mod Podge all over your heart, then sprinkle glitter on your heart covering it completely. Set it aside to dry. 3. After about 45 minutes, pour off any excess glitter from the heart and then add another coat of Mod Podge all over the glitter heart. Let it dry for 1-2 hours. 4. 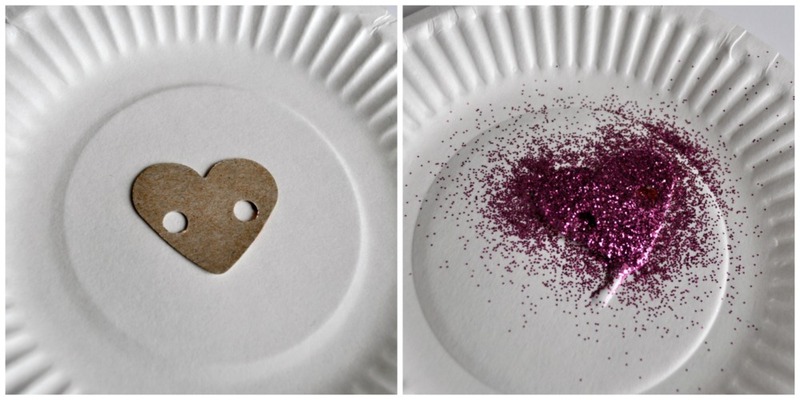 Cut one of your glitter sticks in half, then fold that piece in half again. As you can imagine, my daughter is thrilled over her new sparkly rings. 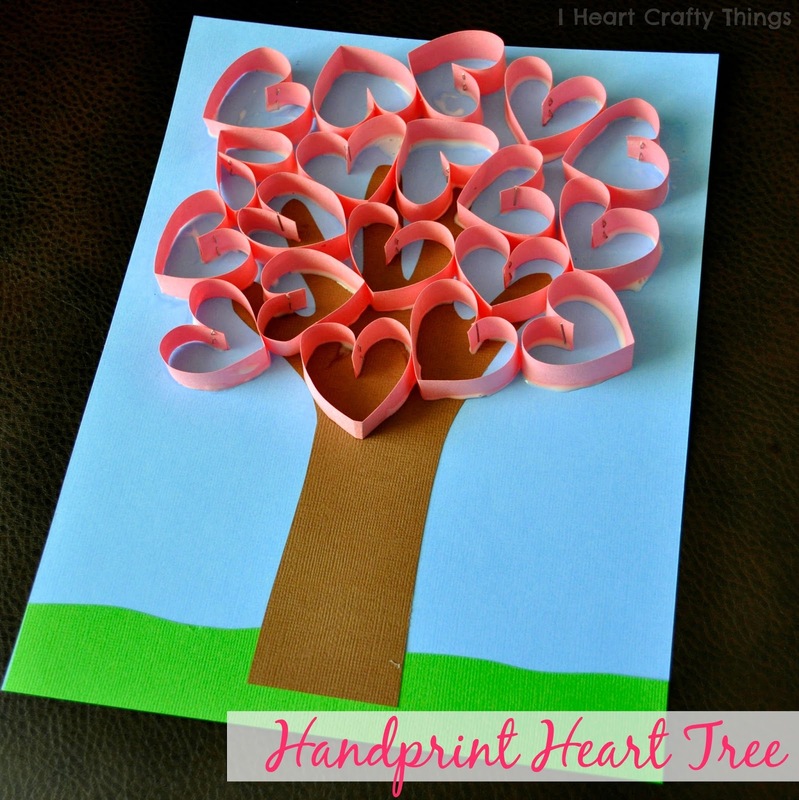 These would make such fun little Valentine’s gifts for preschool classmates! Those look really great. I m gonna try to make one.